Bartender Challenge: Grilled Cheese Sandwich with Tomato Soup | Food and Drink | Style Weekly - Richmond, VA local news, arts, and events. Shannon Hood of Brenner Pass crafts a drink that evokes one of our favorite cold-weather comfort foods. Has this winter been Richmond's coldest ever? It feels like it to me. And according to NBC-12 meteorologist Andrew Freiden, I'm not wrong. "The first week of 2018 was the coldest Jan. 1-7 in Richmond's climate history," he says. "That week, we only had a few hours, on only one day, when the temperature went above 32!" The exclamation point was his, and for good reason. That's too cold. That's the type of cold that forces us to bundle ourselves in enough layers to effectively stop a bullet, then nourish ourselves with warm, hearty comfort foods and booze in order to survive. And that's where Brenner Pass bar manager Shannon Hood comes in. 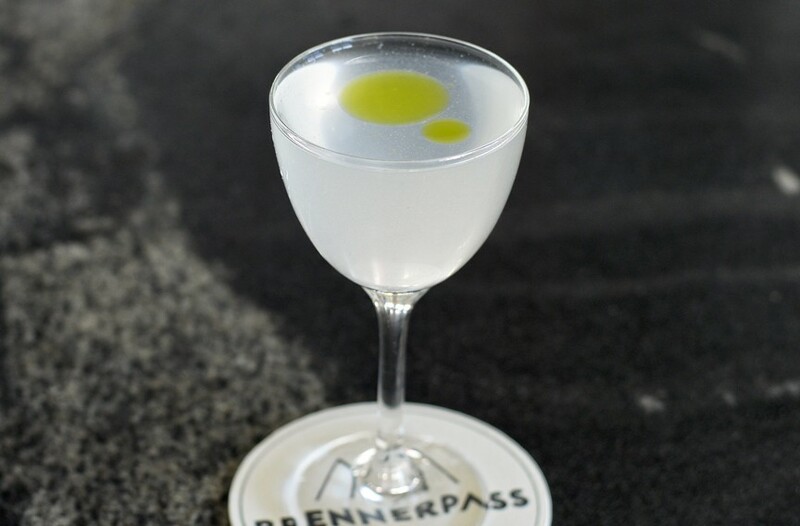 Brenner Pass, meant to emulate a cozy ski lodge in Scott's Addition, has become a go-to for in-the-know Richmonders — and, I figured, an excellent spot to grab a drink to thaw during yet another cold snap. For me, there's nothing more comforting on a cold day than the classic grilled cheese sandwich with a steaming cup of tomato soup. It's really an unbeatable combo. But what if I want that meal in alcohol form? A perfectly reasonable request, no? Hood doesn't let me down. Her Snowsqualls and Coveralls cocktail gives me the cheese and tomato flavor I'm looking for, while also getting me tipsy, which doesn't hurt. 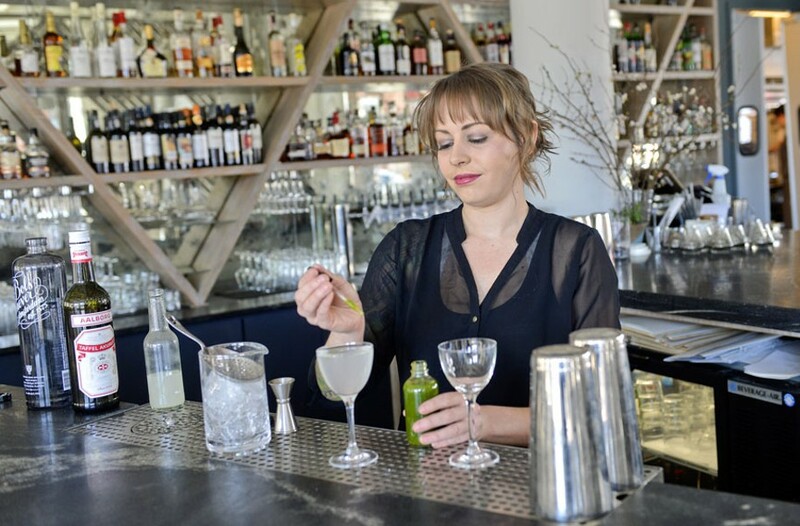 Her drink faithfully re-creates the cheese and tomato soup flavors, right down to the bread, for which she used Aalborg Akvavit, a Scandinavian spirit that she tells me is "particularly caraway-forward" and reminiscent of rye bread. So when should we indulge in this liquefied soup and sandwich? "Definitely on a snow day," Hood says. "Drink it while eating cheese and charcuterie. Drink it in a ski lodge. Drink it by the fireplace. It's boozy, warming and coating." A snow day, you say? No worries on that front — despite the balmy weather we've been sporadically treated to, Freiden tells me we can expect more snow in February or early March. Stir all ingredients 35-40 seconds, strain into chilled coupe glass, garnish with five drops of parsley oil and serve. Combine and refrigerate for 24 hours, then freeze. Once the cheese has separated, strain off the vermouth through a fine mesh strainer and cheesecloth. Keep refrigerated.